It's time to get your photographs ready for the selected Exhibition, Open Exhibition and Events which is all set to happen in April 2018 in Vancouver. You can enjoy placing your exhibitis in the numerous galleries available in Vancouver. Submissions are open for exhibitions of photography and lens-based works focusing on any subject matter. The submissions portal will open in mid September 2017. All submissions must be received by October 20, 2017. Selected Exhibition Program submissions will take place in art specific areas and will be subject to jury evaluation. If selected, these exhibitions are given priority in the festival's promotional materials. Submissions to the Open Exhibition Program are less strict on location, but still have the opportunity to participate in festival events like artist talks and exhibition tours. An open house is also being set up on September 27 so interested participants can come submit their proposals and doubts can be clarified in person. 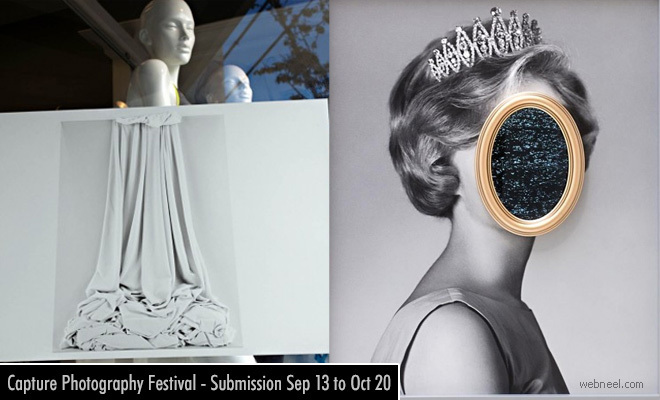 For 2018, submissions to the Open Exhibition Program are FREE for Capture Photography Festival Society members (memberships $10). The Selected Exhibition participation fee remains $300, not-for-profits exempt.